We got a sample magazine for AllRecipes in the mail in the beginning of the fall. I guess the online site is dipping their toe into the print world. The magazine is actually pretty cool – they have a great layout and some good features. They incorporate tips from readers – always helpful! 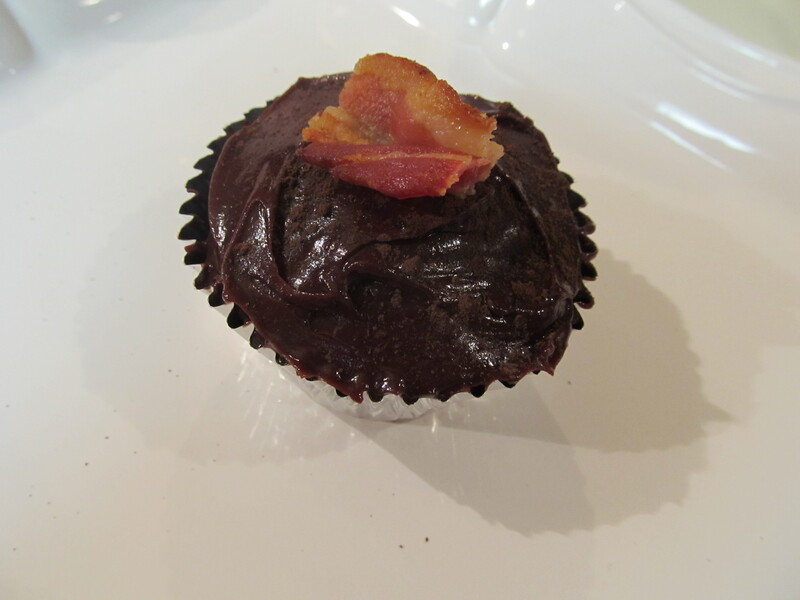 Anyway….back to the bacon……and the chocolate. 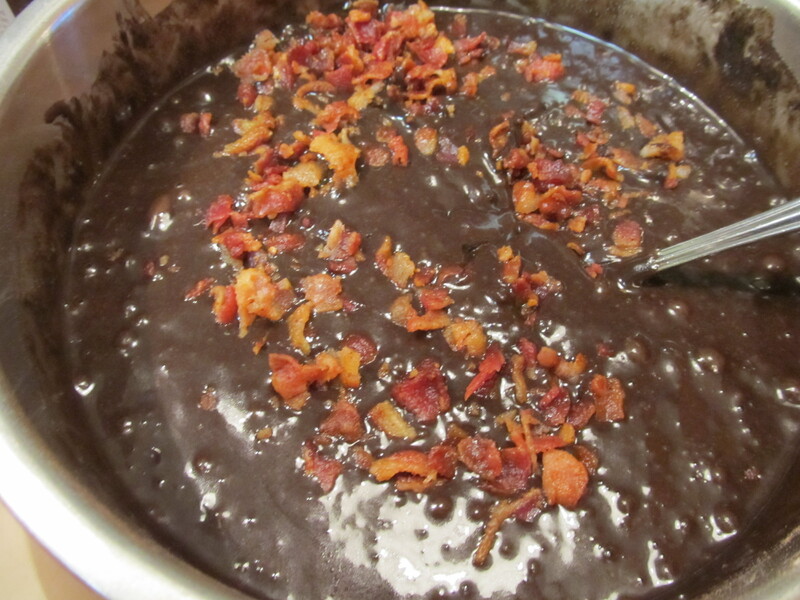 The only annoying part about this recipe is cooking the bacon. No – you can not use baco-bits. 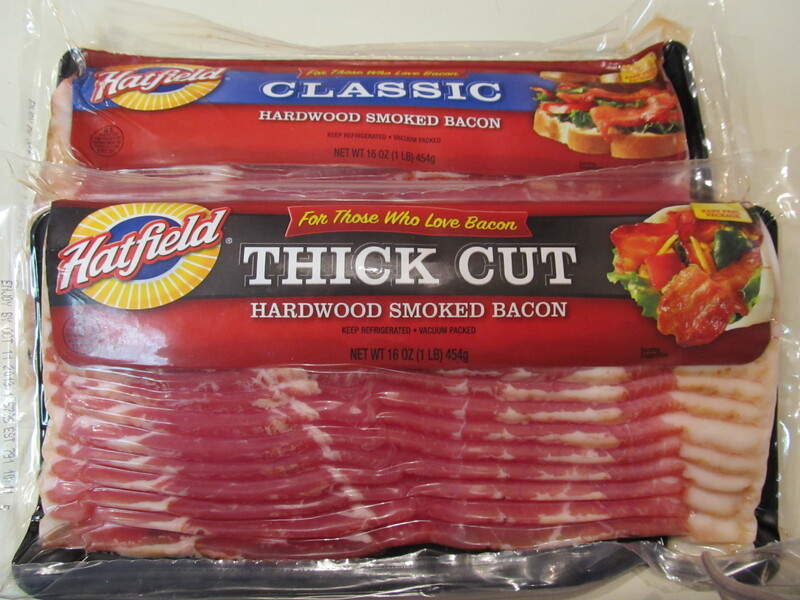 No – you can not use pre-cooked bacon either. It has to be the real thing……And you have to cook it on the stove to get it crispy. Beyond that, it’s as easy as making any cake recipe from scratch. 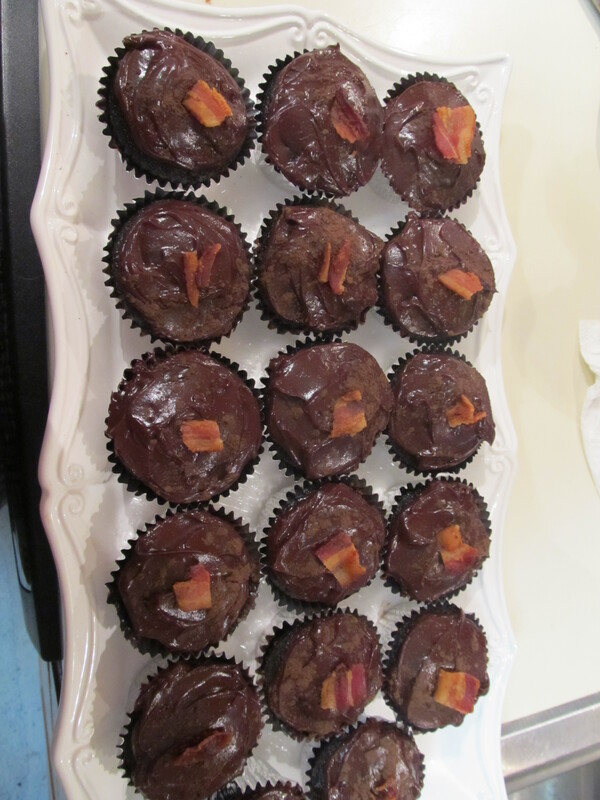 I don’t know who came up with the idea to pair bacon with chocolate. But I think I love them. Don’t tell Robb. Now when the cupcakes came out, they were good but not “amazing”. 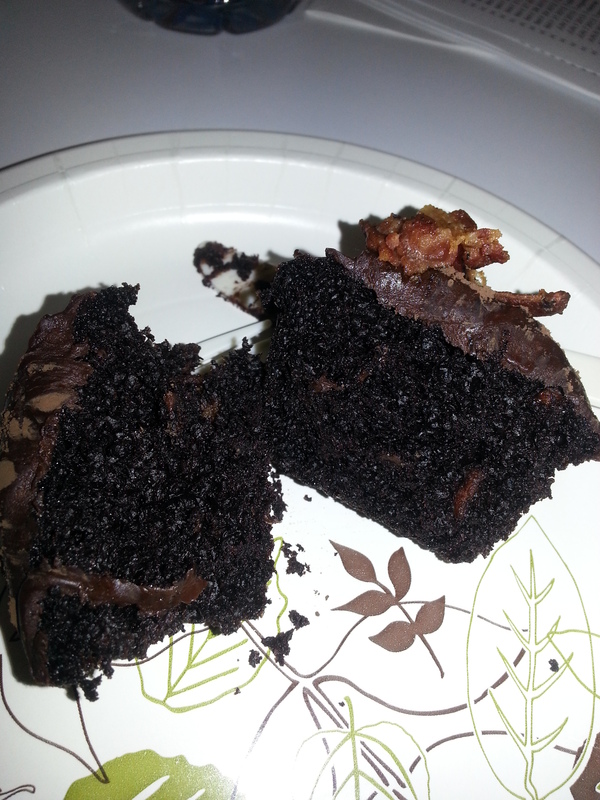 You could definitely taste the bits of bacon in the cake, but it wasn’t an overwhelming bacon-y taste. However when the chocolate icing went on, it was like magic. The icing just pulled it all together and made it SING! The only fault is that this recipe does not come with a recipe for chocolate frosting. So you will need to use your own favorite recipe (don’t buy storebought icing – gross!!!). Or you can do what I did and use my fave chocolate ganache. This batter makes a LOT of cupcakes. And I am not sure why, but I didn’t think it would be enough for my team at work, so I doubled the recipe. 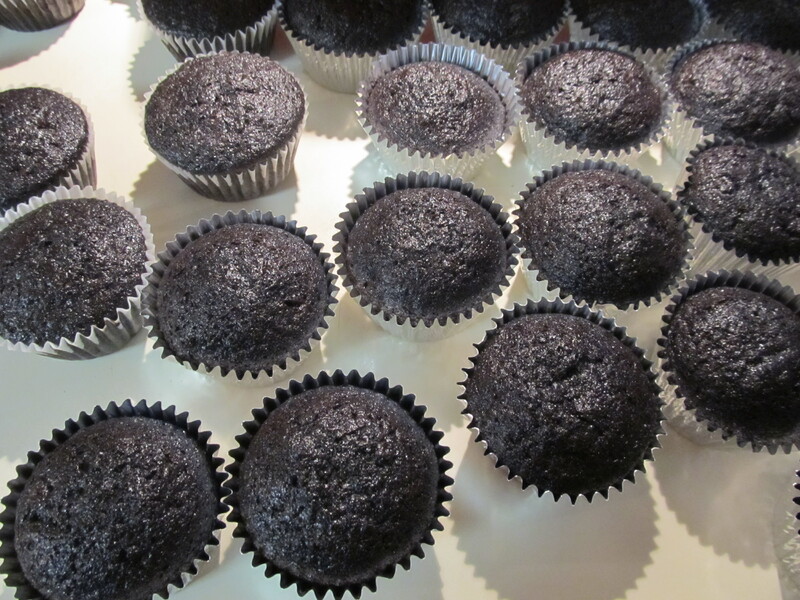 It made so many cupcakes! I had 2 full trays of them to bring into the office. I think there was one for everyone in the company! They were a crowd-pleaser for sure! What a huge hit. 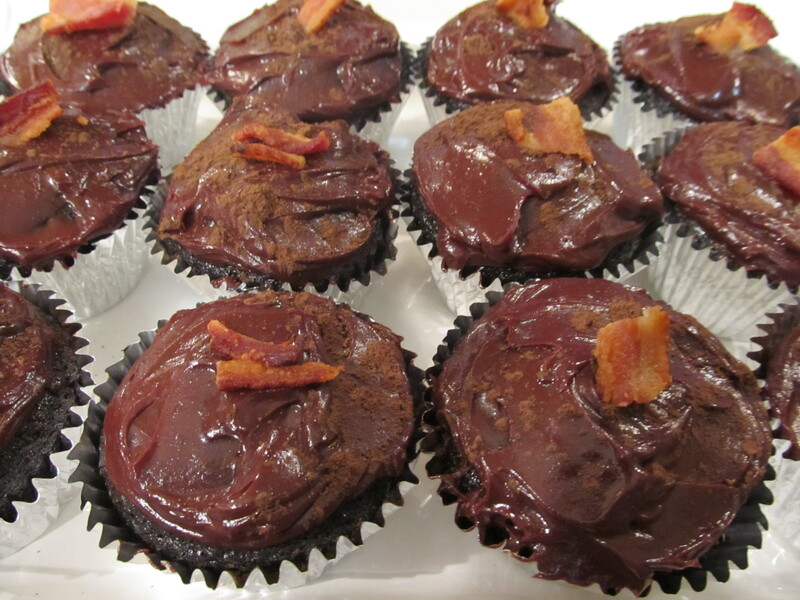 How can you resist bacon and chocolate? That’s right – you cant. Everyone fell victim to the salty sweet confection. People – this is your endorsement: When Robb tasted the cake alone, he said “eh, it’s allright…nothing special”. But when I put the icing on top I got the special look with the words I love to hear: “you’ve outdone yourself” and a high five. Preheat oven to 375. 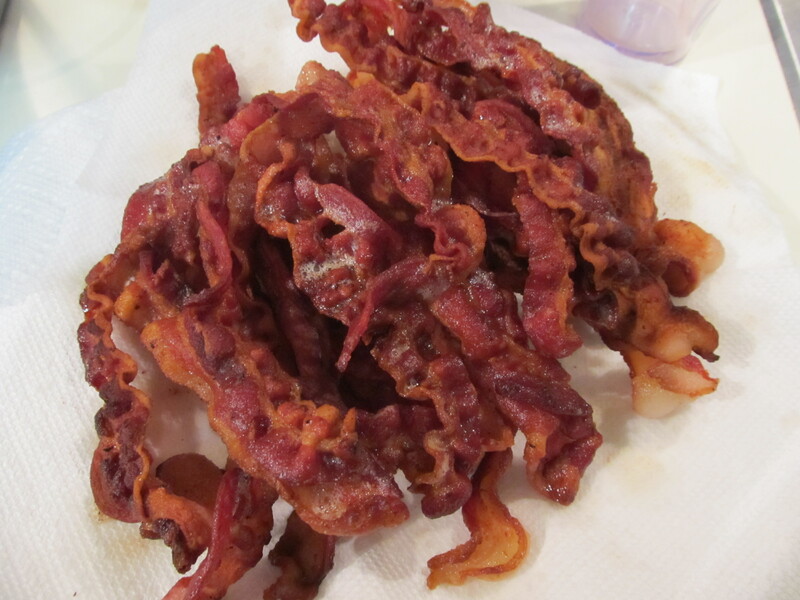 Cook bacon in a skillet on medium-high heat until evenly brown. Drain, crumble, and set aside. 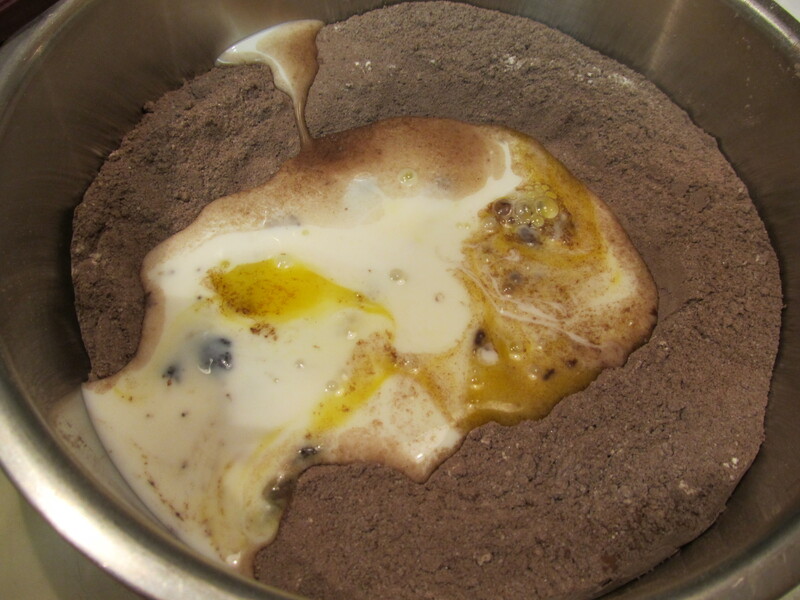 In a large bowl, stir together flour, ¾ cup cocoa powder, sugar, baking soda, baking powder, and salt. Make a well in the center and pour in eggs, coffee, buttermilk, and vegetable oil. Stir just until blended. 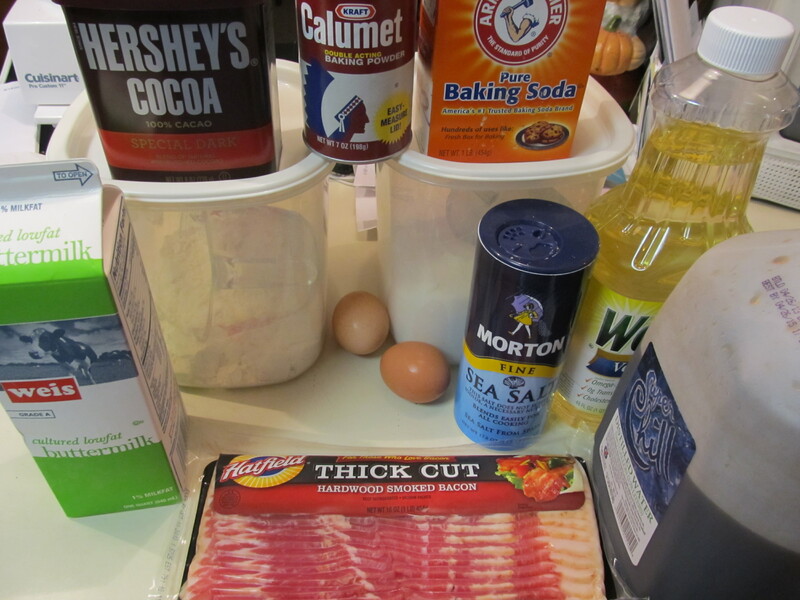 The batter will be thin – don’t worry! 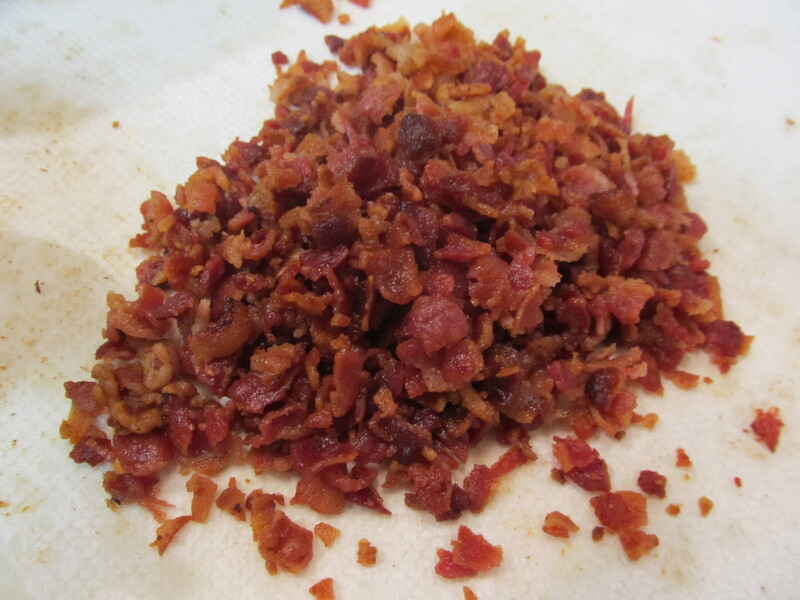 Mix in ¾ of the bacon, reserving the rest for garnish. Spoon batter into prepared cups, dividing equally. Bake for 20-25 minutes (until tops spring back when touched). Mine were done in 20 minutes exactly. Cool in pan set over wire rack. 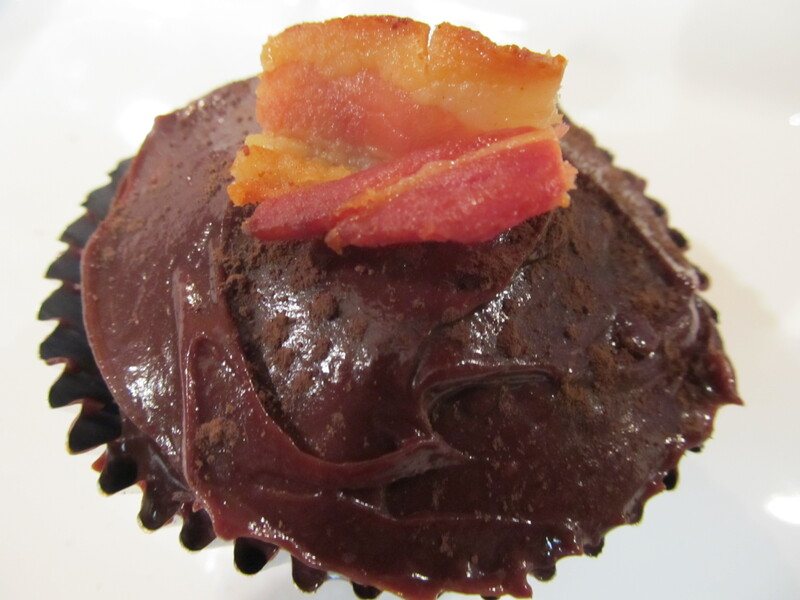 When cool, frost with chocolate frosting and sprinkle reserved bacon crumbles on top. 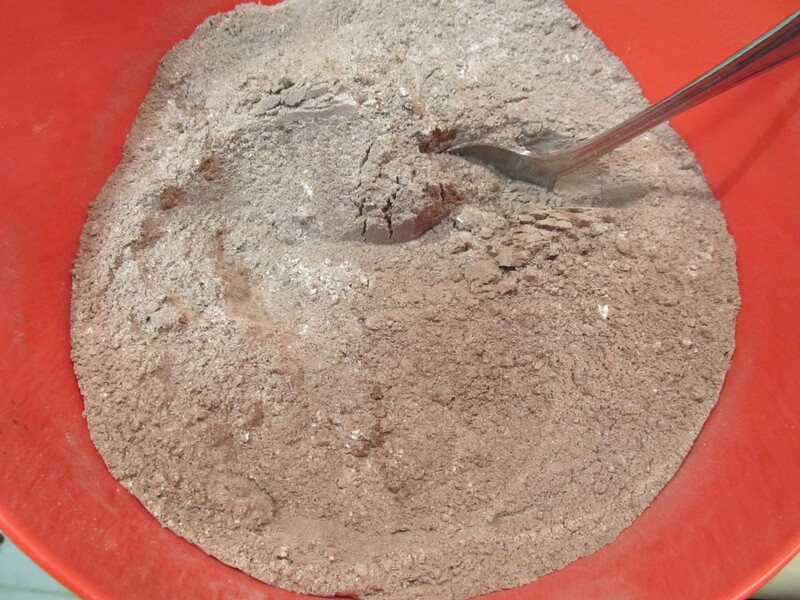 Dust with remaining cocoa powder.